AUTHORS' AFFILIATIONS: Guoqian Xi (Shanghai University of Finance and Economics, China), Jörn Block (University of Trier, Germany and Erasmus University Rotterdam, the Netherlands), Frank Lasch and Frank Robert (Montpellier Business School, France), Roy Thurik (Erasmus University Rotterdam, the Netherlands and Montpellier Business School, France). ABSTRACT: Many entrepreneurs start their ventures while retaining jobs in wage employment; this phenomenon is called hybrid entrepreneurship. Little is known about the entry modes (new venture start-up vs. business takeover) of hybrid entrepreneurs. Our study aims to close this gap by investigating the path to hybrid entrepreneurship. 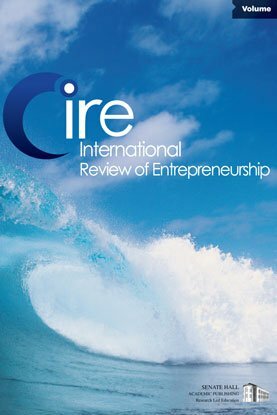 Using a large sample of French hybrid entrepreneurs, we show that educational attainment, management experience, and operating in an urban region are associated with new venture start-up, whereas being female and/or blue-collar employee, and having same sector experience are linked to business takeover. With these results, our study contributes to research on hybrid entrepreneurship and entrepreneurship entry modes. Moreover, it informs policy makers about the nature of hybrid entrepreneurship and contributes to the design of effective policies to promote business takeover, which is of high interest, given the growing number of businesses seeking outside successors.